A day rarely passes without a coffee at some point. It’s either a café con leche (with milk), a solo (like an espresso) or a cortado (a solo with a splash – or ‘cut’ – of milk). Like Italy, it’s hard to get a truly awful coffee in Spain, but it can happen. Here’s our guide to places in Granada which serve delicious coffee, cake and other sweet stuff. They’re either traditional, quirky or offer something a bit different. If you have a favourite, let us know! If you don’t want to read further, you could go straight to our map here. A traditional, bustling café in the busy shopping stretch of Calle Zácatin. It’s normally full of locals who look like they’ve been coming here for decades. There are a series of large paintings by the bar which offer interest. The dour, but friendly, staff know how to make proper coffee. The cacophony of plate stacking is something to behold, too. Why we love it: Feels like you’re in the 1950s, huge choice of pastries. Popular with young people just like…er…us, this café is a lovely spot in the university area of the city and surrounded by amazing architecture (like El hospital de San Juan de Dios). We’ve always liked the coffee here and they serve a wide variety of food. Why we love it: The vibe and its location near one of our favourite shops in Granada. 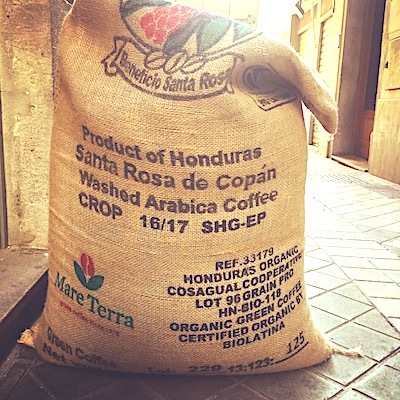 Tucked away in a side alley near the cathedral, La Finca (‘the farm’) is a relatively new kid on the block. It’s like a trendy pop-up café you’d find in Dublin – and it sometimes sells Guinness and chocolate cake. The coffee is divine. Why we love it: It’s cute and the coffee is made with great care. 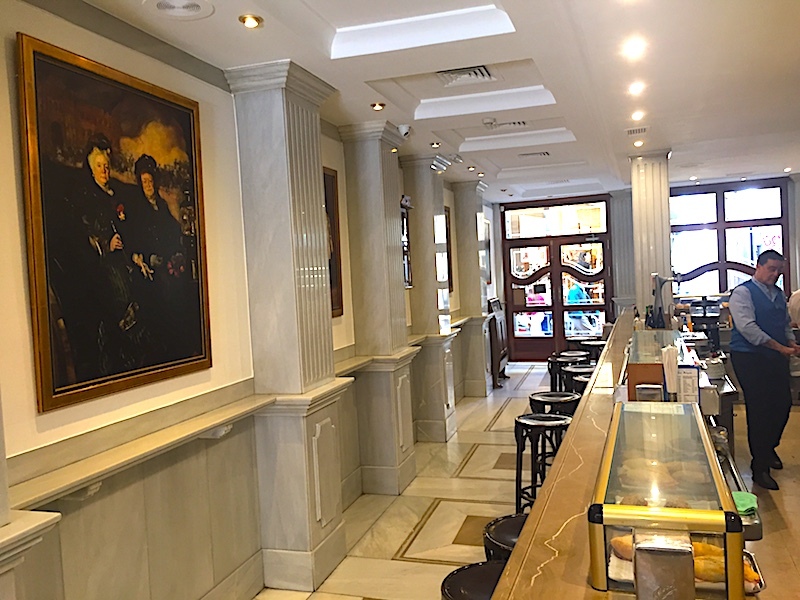 Situated on busy Plaza de Bib-Rambla, Café Alhambra is where to enjoy the experience of being in a busy café in the heart of the city. The numerous staff (count them) are great, as is the coffee. Children will love the churros – and surely with chocolate sauce to dip them in? Why we love it: The churros. 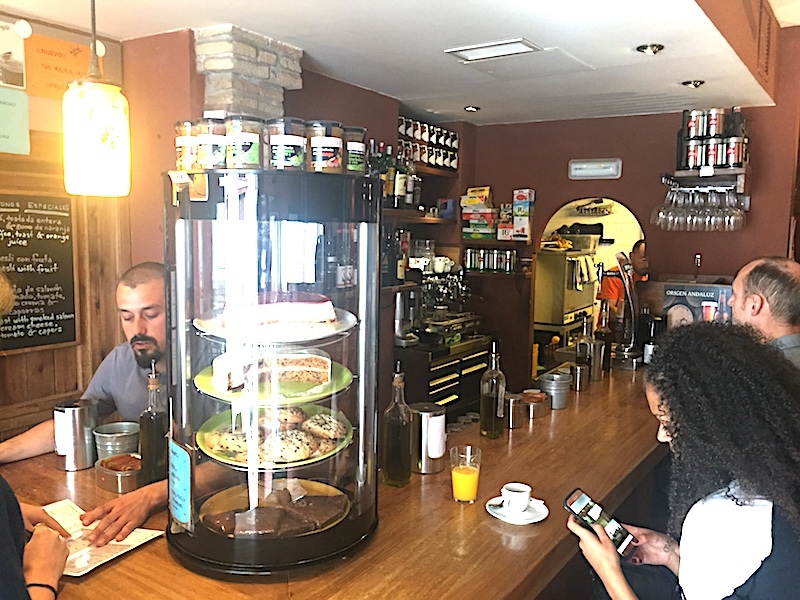 Blink and you may miss it but this café off Calle Recogidas is worth seeking out for its delightful coffee and (small) selection of delicious cakes. It can get busy mid-morning as it offers limited seating. Why we love it: It’s like a secret waiting to be discovered, even many people have already found it. Why we love it: Location, the buzz and the constant jazz….nice. 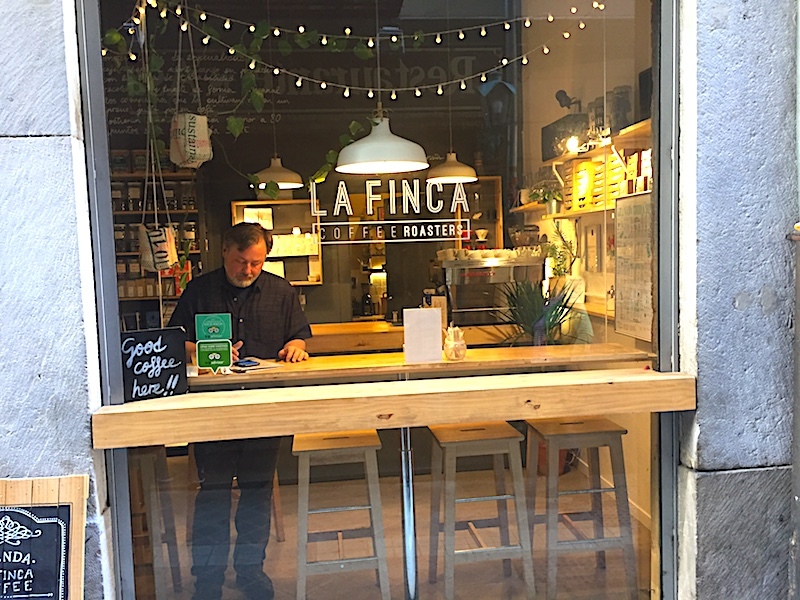 If you like dark and dingy places this isn’t for you, but we like it for its bright interior, good coffee and extensive choice of all-things sweet – including the famous pionono, a small tower of loveliness and something you should try when in Granada. Why we love it: It gleams and sparkles and means we’re not in El Corte Inglés opposite. The message is pretty clear in the name. This place is in the Realejo district on the fabulous – and steep – walk up to the Alhambra from the area. Great coffee and a small choice of sweet things to keep you going before the walk of a thousand steps – but what views! Why we love it: Not so much love it but need it to wake up after a belly of tapas. Our ‘Best Coffee in Granada’ map here. « Learn Spanish in Órgiva!